Early Autumn at Yellow Mountain, Colorado ©2017 James D Peterson. 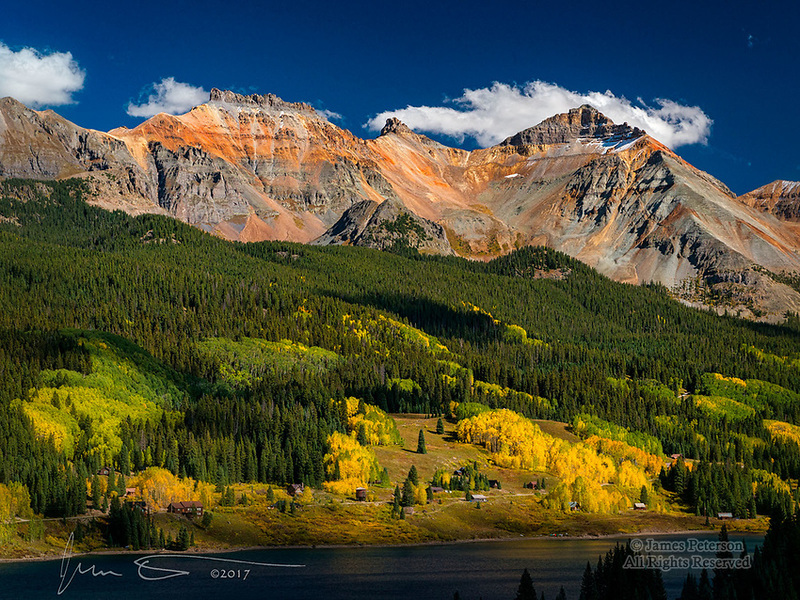 Near Lizard Head Pass and towering above Trout Lake, this rugged peak displays its red hues on a clear autumn afternoon. The aspens on the lower slopes are beginning to show off their fall color.